The Seventh Planet: i'd never internet someone! I entered my blog into Wordle and got this masterpiece. 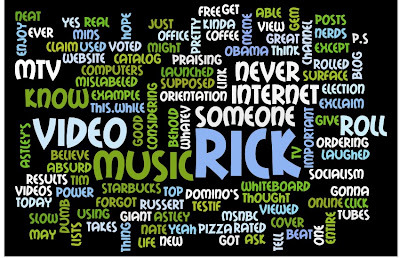 I think wordle rick rolled me in its own way. Thanks to Helen for finding this site!